So I have been using this app for about 2 weeks, I got pro and it changed the whole app for me! It’s so much more fun but I just have to say one little thing that is bothering me... Whenever I try and go use 3D magic it won’t let me! It’ll just say “Stay tuned, 3D magic is coming soon...” meanwhile I have SEEN people USING 3D magic!! Why won’t it work?? I think pro should be free in my opinion. But I made some nice edits without pro. 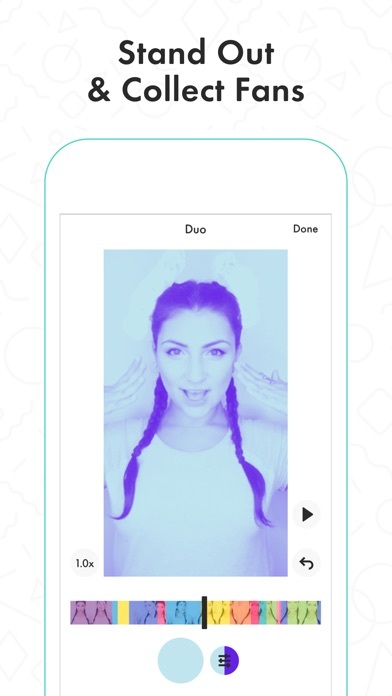 This is way better than video star. This app, Funimate, won’t even OPEN. I really love bts so i could make bts videos for tik tok love!! I love the app a rly do its just....well I’m a cosplayer and sometimes I need to add more then 3 or 4 tags......also I’m pretty sure most cosplayers will agree with this....dueting needs to be a thing here, being able to put ur video right next to another persons video and create amazing content together even tho u r not physically together....also I think most people will agree....it’s kinda hard to use the sounds well actually u can’t use the sounds that u find on another persons video....u have to use ur own sound and for some of us we can’t do that. Like my sounds r literally from screen recordings of videos on Instagram. Also with the pro effects.........there r some of us who just can’t pay for pro! 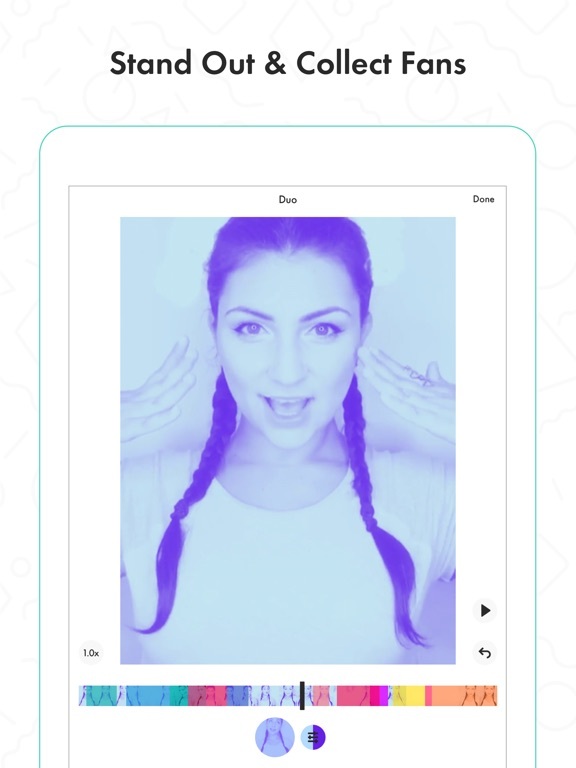 I personally would have chosen TikTok if I was allowed to do it! On TikTok the only “restrictions” is that u need 1k fans to go live and that coins cost money! And u don’t even rly need coins! Other than that There is nothing u have to pay for and the app is completely free! So ya Funimate Is an amazing and fun app but get rid of the pro stuff or at least make it so that less stuff is pro! I know that u have pro so that u as a company can get some money, but please just do something like what TikTok does to get money. Make it so that the users don’t have to pay in order to make good content! Why would you guys make all of the good effects pro some people can’t pay 3 dollars a week!!!! Do better seriously. Love the app but it’s crazy your making people pay 3 dollars a week!!! I love this app I’ve been using it for 3 days now and I’m addictive! The only thing I’m upset about is that I can’t use pro with paying but that’s the only thing that I don’t like.❤️ This app is good for making new friends and meeting new people! I enjoyed this app a lot! FOR ONE WERE IS THE SHOOT BUTTON TWO IT WONT LET ME LOGIN OUR DO ANYTHING AND THREE FIX YOUR STUPID APP!!!!!!!!!!!!!!!!!!!!!!!!!!!!!!!!!!!!!!!! I would like a refund I bought the pro effect thing with a free trial for 12 days I uninstalled it the same day I got it because I didn’t want it but you guys still charged me. I also tried going back to my apple store to get my refund but refunds seem to be unavailable for your app because something with your site. I would like a refund now this is so unprofessional. I love this app my only complaint is that u have to pay for pro everyone should have pro in my opinion! But overall this app is pretty decent! I was playing funimate one day then it logged me out . then put me on a different account only showing tutorials and I deleted the app ,re-download it then it did the same thing when I tried to open it i couldn’t log out. FIX THIS!!! I CANT PLAY THE GAME ANYMORE!! PLEASE READ THIS! How do you get the sound off of someone else’s video? You need to fix this issue! Everytime i start to add music to my videos the app shuts off. i have to delete it and download it again to get it to work. my suggestion is to fix whatever bug that is causing it . this app really deserves 1 rating instead of two but it has good effects. How come on my phone theres only tutorials and I can’t edit my profile. Theres only 1 section and nothing else. That section is Tutorials. Is this an update? If it is I HATE IT. 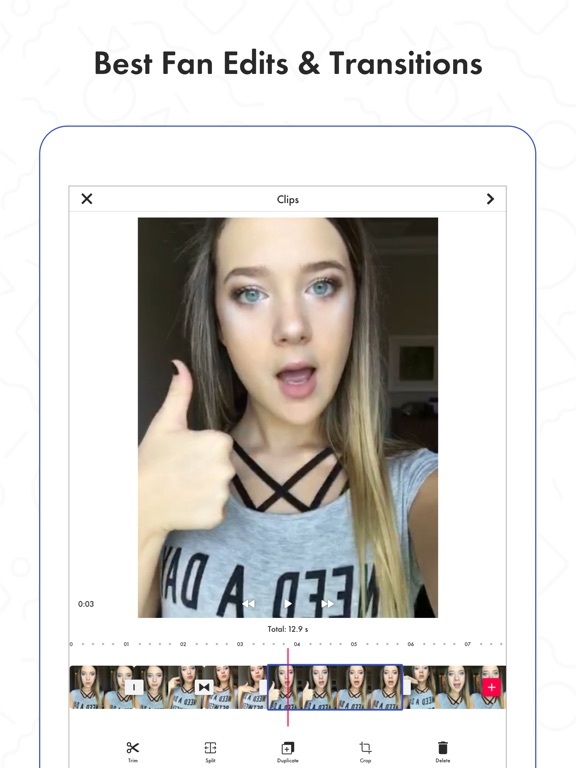 I just bought pro, edited a video, then put it on tiktok. I went back on to edit another video then I clicked on it then it sent me back to the home page. It keeps doing it. Is this a scam or a glitch in the app? It’s not my phone, every other app works perfectly. But overall, it’s a good app and has great effects. When I try to use audio from my camera roll,It crashes. I hate this app. Fix this problem. Whoa!! What happened??! It’s like you can’t actually post anymore?! Is it me or did Funimate change everything!!? I just want to see my followers videos and the sound/shoot button to be back please reply back thank you! @asf.aesthetic on Funimate. I have been on here for a long time now and I have a lot of good edits that never get liked by funimate I will start spreading rumors if I don’t get a feature next more or before!! Plus where is the shoot button?! I do like it, but I’m upset because I have to pay to subscribe to get the pros. I really want it to be more useful if it haven’t changed to pros. What I’m saying is kind of the same as the other review, but it’s kinda different. I wish I can actually use them instead of paying. Can it please happen for me? I hope you do understand that this is a problem for me. Every time I pay to subscribe, it doesn’t work for me. The payment is really repetitive and I wanted it to stop. Can I not pay to get the pros? I really appreciate it. Thank you and I do hope you understand my struggle. Keeps shutting off and it doesn’t let me upload music . And we have to pay money for this ? Tbh, I think Funimate is a great app, but I don’t like how now they’re just making us buy pro to go live or use certain special effects. I don’t think anyone should have to pay money just to go live or use effects. So can you please go to the headquarters and convince them to make live and the effects free🥺? It’s pretty annoying because I made an account but I am not able to edit my account from a different device then what I started with. I started with a android and I updated and got a new phone I can’t Chang anything about my account because of the security on there. HELP PLEASE RESPOND! I absolutely loved the app until one day I got suspended for no reason, I have been trying to email you guys since January 21, 2019 and still gotten no response and it’s now April 16, 2019. I would love to be back on the app ASAP! Evertime I try to edit a video and I go to add a song the app just crashes on me. It’s been crashing ever since I downloaded it and I don’t know what the issue is. I can never make a video nor make a video. I’ve tried several things but still the app keeps crashing. I’ve re-download the app multiples times, made a new account, restarted my phone and yet still the app won’t work. Please help me fix this problem I don’t know what else to do. When I try to make the video, I press the add music button. When I do that, it freezes and it shuts the app off. Please fix! You can’t do anyone’s song anymore it doesn’t say SHOOT. This is a big issue right now and I am pretty sure it’s a glitch but you guys need to fix or put back the shoot button I have not been posting as much and it’s really irritating I may uninstall if it doesn’t get fixed or out back.. I got a new phone last year and I still can't change my username, my profile pic, or ANYTHING, i can't even change my password and I got hacked a few days ago and I can't change it, so they pop up multiple times!! They need to bring back 3D colab!!! come on i loved doing videos with the 3d colab! it was really cool i was so sad when it was gone and it always says "coming soon" or whatever. please bring it back! I really love this app, the editing style was exactly what I was looking for. But everyone time I go back to edit a video it just crashes at random. It’d be really nice to actually finish my edit without a crash so I can save it! Other than that, the app is wonderful. So I use to have Funimate on an old device than I recently got the app back and I used my email and when I tried to change the profile picture because I didn’t like it anymore and it sent a message saying , “Suspicious activity detected on your account from a new device. If this was not you, please reset your password immediately.” So I changed the password to see if it would help but still no.😤 I can’t even delete an old video nor change the username! I understand that it may look like it may be suspicious because a new device but it isn’t so please fix this so I can delete my embarrassing video and change the name. Because I don’t want to have to make an account with a fake email which is so annoying by the way!! !🤬 Please respond as soon as you can. this is an amazing app but everytime i go to add a sound to a video or select more photos the app crashes and i’ve tried about everything resetting my phone, deleting the app and re-downloading it, trying it on different devices. please fix this problem and i would buy the pro version. fix soon this is a MAJOR problem. update: you guys responded to my complaint said you fixed it and i’m still running into the same issue. this is unbelievable you guys need to get on top of this because i am getting very frustrated not being able to use this app. I related this app 2 stars bc of how slow it is. And the edits are sometimes a little sloppy and bad. Where is the Shoot Option? As you can tell from the title, I am missing the Shoot Option where you can make a funimate on someone else's audio, everything else is good except for the old non pro affects with pro now. HORRIBLE, every time i try to edit something it backs me out the whole app and takes me back to my home screen. This is the app i use to edit and it’s not even working anymore 😒😬😐. I’m very confused and I have a question for funimate... how come I paid for the pro and it’s not letting me use it? I payed for it butfor some reason when I go to use pro and continue it pulls up the subscription page??? I can’t work like this! So Funimate I love this app but um I am confused because how do you do another persons sound now? Or did you guys stop that for copyright reasons? Like someone did a sound I wanted to do it and I couldn’t find the sound thing that tells me who made the actual sound and how I can use it. Also my old account was deactivated cause I didn’t use it for 3 months because I was busy. So yeh I hate this app now. And I need answers!!!!! And yes I tried looking it up already!!!!!! You get 0 stars... but I have to put a star! So I guess you get 1 star!!! I can’t add music to my video (which is why I downloaded the app). Every time I try to, it glitches and closes out. I really like it.. but.. I love this app! I use it for edits and it works well for edits, but.. I don’t like the fact that there are very limited effects you can use because the rest are pro. Overall the app is really good! I WANT MY SHOOT BUTTON BACK! Funimate is a great app. Great effects and everything. Just a couple problems. 1) WHERE DID THE SHOOT BUTTON GO!!! 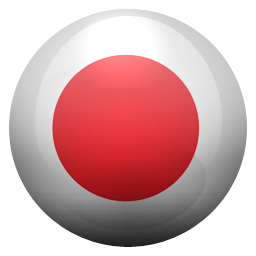 We neeeeeeed this button and it was amazing but now we have to download each video before we can use the sound and it’s just a waste. 2) almost EVERYTHING is pro. Give us broke people something to work with. I mean you have to have pro to make good videos. You have to make good videos to get featured. You have to get featured to be noticed by other users. You have to be noticed by other users to be starred. This app is the worst I had to report like 8,000,000,000 people from how inappropriate they were! If you are reading this review you should trust me it is SO SO SO inappropriate! It’s a great app but the app simple keeps crashing while I’m trying to edit a video. The app closes while I’m editing and I tried about everything to fix it. I rebooted my phone, I swiped away the tab and opened it back up, I updated my phone, and I deleted the app and downloaded it again. None of that stopped the crashing so at that point I was thinking it wasn’t my phone causing the crashing but it was the app itself. It’s very annoying and frustrating and it needs to be fixed. I absolutely love this app, but since I don’t have a phone, all of the effects like fly away, glitter, ect that are on text magic, I can barley us because the iPad animates them to big so the butterflies or hearts take up half the screen! Or if I do a collab it animates the screen bigger so it cuts off the words of someone’s edit, like for #editforme, it cut off the top and bottom and I wasn’t at all happy. From here, I’ve been on Funimate for about 4 months, and from those four months one of my Funimate friends who started with me, got starred and my other friend will be getting her star soon. I have 16 features. And Funimate follows me. I would like for Funimate to not forget about you, they forgot about me for like a month. They feature my BFFL almost everyday and me every week. I don’t appreciate it, because we are both putting both of our best efforts into the videos. I also hate the 24 hour rule, for instance my friend showed up on rising at 9 in the morning, PA, and got her feature at night, and she showed up again, and got that feature the next day. So now she has to wait more to get other features. There are many things Funimate needs to fix! When I first got Funimate I absolutely loved it! It was extremely fun and very easy to use and everyone was so nice. But as it got more and more updates it got harder and harder to use. At one point I wasn’t even able to create a video because it was glitching so much. Also I downloaded Funimate before all the effects and filters were pro. Which was great, but then they all suddenly became pro and I wasn’t able to make quality content on there anymore. I was going to post an old video that had effects that were apparently pro but I had used them before they were made pro, so I wasn’t able to post it at all. And that really annoyed me because all of the non trashy stuff was pro and I wasn’t going to pay lot’s of money just so I could use them. Altogether it was very illogical to do that. Another point is that even though I tried extremely hard to get features I didn’t get any. Some of the videos I made were probably better than those getting features and lits. I think the app favored Funstars and pros over regular people because they were the only ones getting features. If those problems were fixed I would definitely get Funimate again. But until then, I don’t recommend it. The app is very fun to use and the effects are amazing. My problem is the glitching, I am experiencing a glitch on the app right now. I have been working very hard on a fan edit on the app, as the tag is still trending a bit, and I need to add one more touch. Every time I get on the app, it lets me resume to my video but 10 seconds later, or if I push a button, it takes me back to my home screen. I’ve tried getting back on the app at least 12 time, probably more, but it keeps taking me to my home screen. I’m afraid if an update comes I may not even be able to resume to my video. I worked hard on it and will be sad if it goes to waste. Otherwise the app is very nice. It has now been months since I wrote this review. 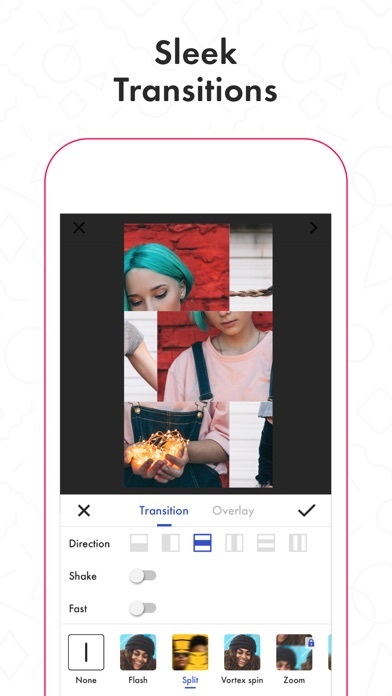 You just updated the app and I have been working very hard on an edit for #funimatetransitions and when I was getting very close to finishing the app glitches. I have tried four times now but I keep getting taken back to my home screen. I would really appreciate if this could be fixed. Otherwise, the app is very nice. Ok, to start off, I'm an editor. Those short 5-10 second videos with transitions of your favorite fandoms, I like making those. When I found this app that had cool transitions, and unlike other apps, it automatically made it for you, I was thrilled. 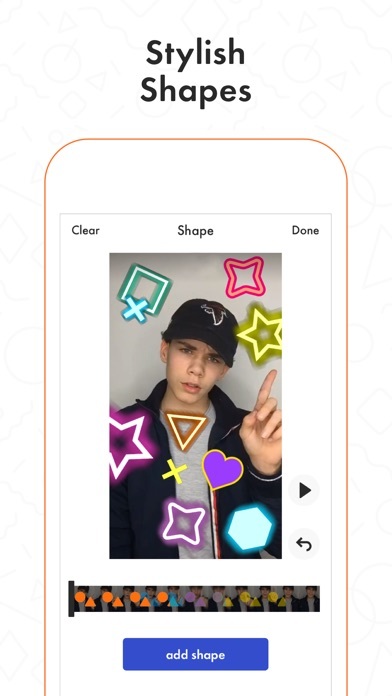 Other apps such as cute cut and video star, you have to make the transition yourself which can be very hard and time consuming. When I made my first edit, it was amazing and I loved it so much. But I used pro effects. In other apps, it's a down price to pay for certain effects or no watermark. 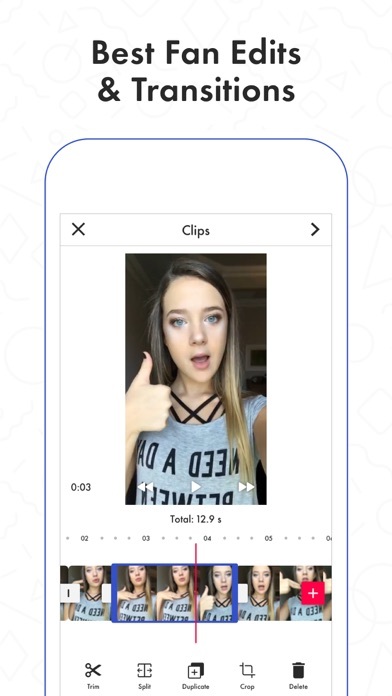 Cute cut is 5.99 to get rid of water mark, and video star has a certain price, like 6.99, per tens of effects. I thought this would be similar, if it was I would've easily bought it. Then I saw 2.99. It's one things if that's 2.99 a month, but a WEEK. That's a scam. Compared to other similar programs, the only one similar in pricing is AE, a much more professional computer program that does way more, so you can understand its price. I'm not buying something like that, so 2.99 a week is not worth it, sorry. I loved the app when I first joined. Everyone got featured the same, and it was all fair. The pro effects were reasonable, and everything was great. BUT. Getting into recently, it has been getting worse. The pro effects are so OVERPRICED for some little effects. Something that I would do is have different packs. 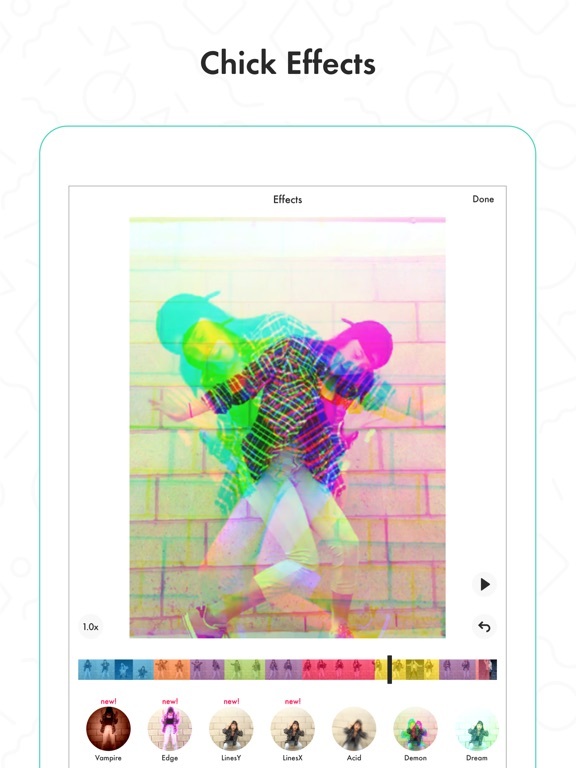 Like, the touch magic effects pack is $1. Like that. Another thing is the features. People are trying so hard with videos, and most of them never get featured. I have a friend who has been on Funimate for almost a year now, and she has never gotten a feature, where as her friend, who started in August, 2018, has 5 features. The last thing is the stars. They are great, it makes you work for something, but people with stars are getting a bit too much. Star videos are fine. Saying stuff like: “having a star is SOOO WEIRD!” is not. If it is so weird, why did you agree to it? That’s my rant. P.S. No offense to Lia or Ekin, or anybody that works for Funimate, you guys as great, this is just my PERSONAL opinion. I really enjoy making videos on this app. If you guys keep making and adding transitions and effects for video editing not just for after u record a video with the app it would be better. Video star has nice transition packs but you have too buy each individually. Maybe if you had someone from your team look at their transitions, you could add them to your app the transitions packs they have are really good and i also think you should add a feature too slow down and speed up certain clips thats the only feature i notice you guys don't have thats really useful i gave u 4 stars cause i like the app but i also feel like it isn't enough i think you guys should check out noiz and video star and try to put some of those things from their apps in your own i don't personally like video star but I've seen the transitions u could do with them if u have packs from a friend. Funimate is s great app! I honestly love this app so much! 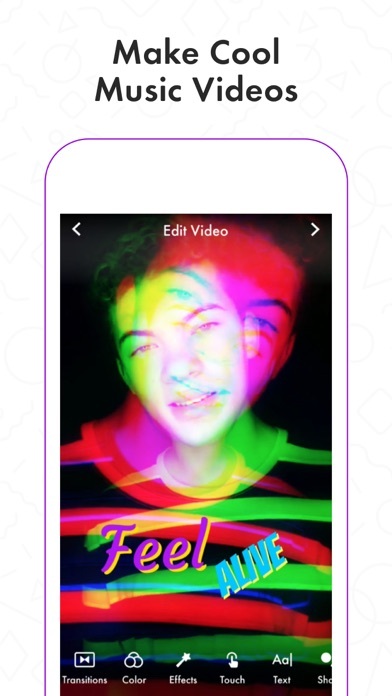 When I was little I was obsessed with the app I would mess around with the effects the effects can make your video even cooler you hold them in and it makes the video outstanding and the color you press it and you slide the colors around so you have a rainbow! 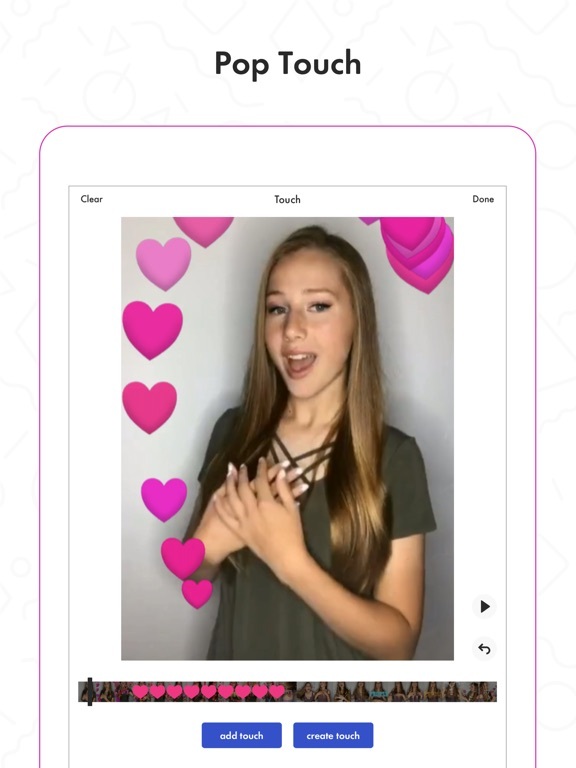 You can also touch the screen it’s little things you can add to the video like hearts, sparkles, shimmer, and even holiday stuff. You can also add a text and move it around the screen! For example, you take a word like “amazing” and you take your finger and move it around the screen! You can also make more than one video instead you can make three. 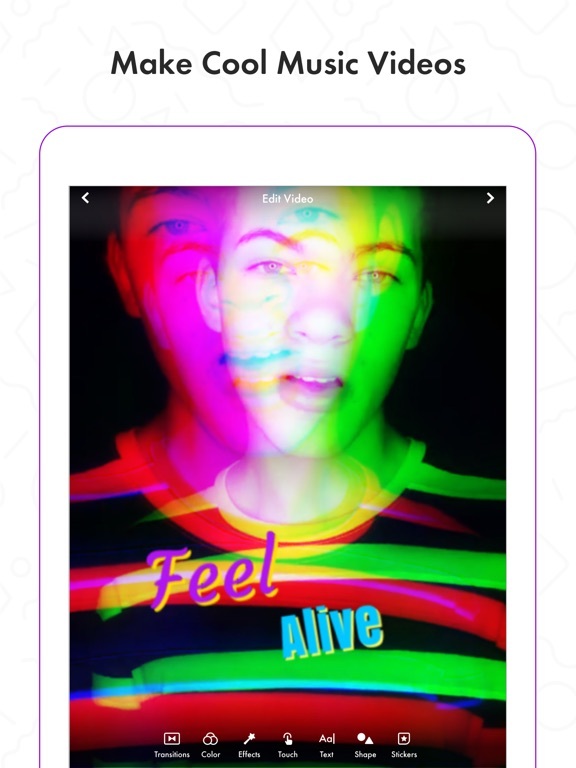 I honestly love this app and in my opinion you should download it if you want to have fun and make fantastic videos! The cool thing is you can follow anyone you want! Funimate is a great app. Although every app has pros and cons. And I’m going to be telling you some of those pros and cons. First of all the Funimate has many effects but some of them you can’t use him which bothers me. Also they’re doing like the same hashtags over and over which is kind of getting annoying. Oh, by the way there’s also filters and you can’t really use them all. Now onto the good things! What I like about that app is... you can add text to the video which is awesome. Even though I said that you can’t use all the filters some of them you can and they’re amazing. 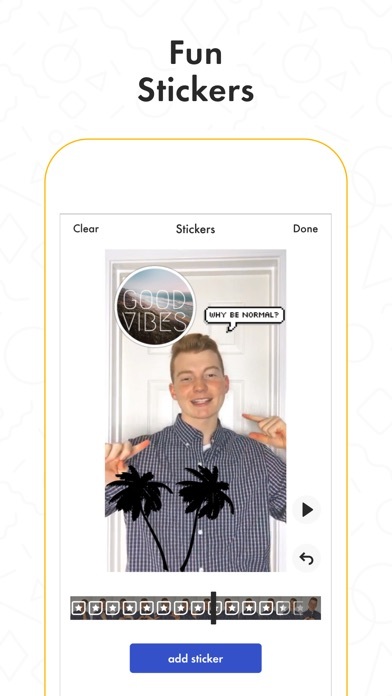 I know that every app you want to make it look cool has a watermark or however it’s called. But the watermark is kind of annoying to me I don’t know if it’s annoying to you guys but yeah. Those are all my pros and cons so yeah that’s why give this app four stars. Goodish app but never get pro! Funimate is a really fun app I love it so much I do funimate with my friends just the fact I hate about funimate is that people judge your video if your pretty or not sometimes like do you have to be so cruel? I never think I will be that person who is really good with funimate it’s just people on there don’t understand that we take are time into this and upload it for them to see and then bam they don’t like it the thing I also hate is that people use your audio but don’t even like your video I have trouble getting likes but I will do the same thing as another person sometimes and I won’t even get that many likes as they did! People with funimate need to chill over all the game is really good I think funimate is a successful app that you can play at night or day! Whatever suits you best :) 4 stars! Hi, I love funimate! It is a great way to express yourself. But I have a few problems. So, I have an art account on Funimate, and I’ve noticed that a lot of jealous people have started to “steal art” what I mean by that is people repost someone’s art video into their own account without their permission. It causes drama a ton, and people curse with vulgar language. Second.. Now, this is very, what should I say, personal? So if you’re young you shouldn’t read this. Anyways, a lot of people.. mostly art accounts ... Um, they get into a lot of drama, some people even make hate accounts just about that girl(or boy) and um... some serious death threats and committing suicide have happened, and I honestly don’t think that is a very healthy look for younger kids. Anyways, that’s all, as long as you ignore the drama, you’ll most likely be ok.
Why did u take the “shoot” button away? 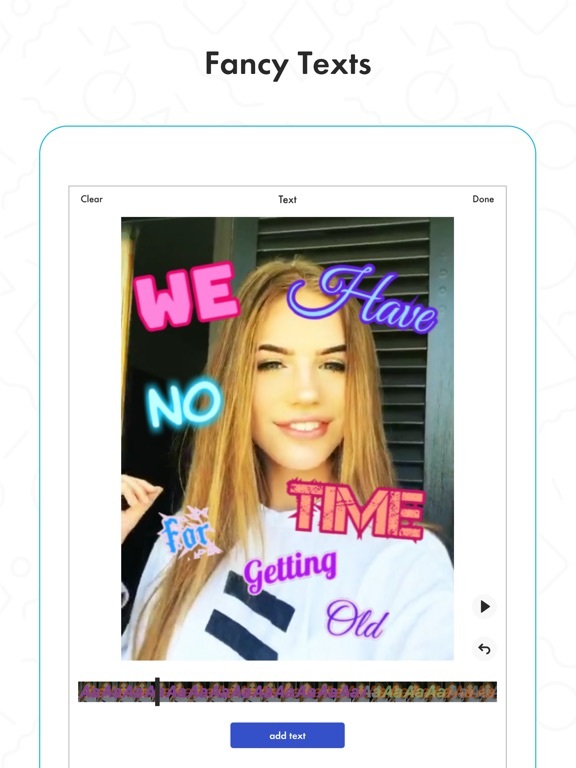 I love funimate I really do considering I not allowed to have tiktok considering I am a 11 year old child writing this, anyways I love it I’m just mad that most of the stuff is pro and I don’t like that and why did u take the shot button away I mean funimate has some weird music sounds but lots of good comedy sounds I just wish I can still have the chance to use other creators sound that are better then mine I was mad at that I a noticed that when ppl started to mention it on their funimates it’s really annoying and ppl if u think that ppl actually took a really long time creating their funimates please like them I mean I only get about 1-3 likes but I have like 31 followers like what sense does that make🤨 Other then that I really like the app! I freaking LOVE this game. But, there is a problem. A few days ago, I did a fanedit for Sabrina Carpenter. I had 12 pictures, plus my own audio. ( It was “ Sunflower “ Post Malone ) I used my own ‘ hashtag ‘ and I used transitions AND overlays. I made the transitions fast, and when I was finished, I pressed the button that took me to edit screen. I pressed the button that took you to your caption. I was I the middle of writing a caption when it crashed. I went back in because I didn’t want to lose my edit. I tried to press the button to let me continue working on it, but it froze and I continued tapping the continue working button, and when it FINALLY unfroze, ( 10 years later hahahahaha ) I had lost an amazing edit, plus an hour’s worth of homework. This App... it’s messed up. I'm giving it a 4 star because I can't complete the review because of Apple 's BS in slowing down old phones. I started it and it was easy and easy even on a iPhone 4s tiny as they are. I just can't get past adding music to it. I added music then move on to the next step and it always crashes there. I don't care what anyone says Apple you owe me a new phone!!! The crap they put me through with this phone over the last few months. At first no problem using any game app or app but now I can't use a simple app as this one! Guys so far what I've seen with your app great job. I just wish I could use it. Few months ago I probably would have no problems but now there's no use. I have had funimate for almost 3 years and have been active on the app for about 1, and have never experienced any difficulties until about 3 months ago. I got a new phone and the funimate security message continued to pop up, even days and weeks after I had already confirmed my new device. I had emailed funimate support a few times and heard nothing back until probably the third or fourth email. When I did hear back, they said they would have their support team look into it. That was almost 2 weeks ago, and still, nothing has been fixed on my account. It’s a shame because Funimate itself is such a great app. Hi. 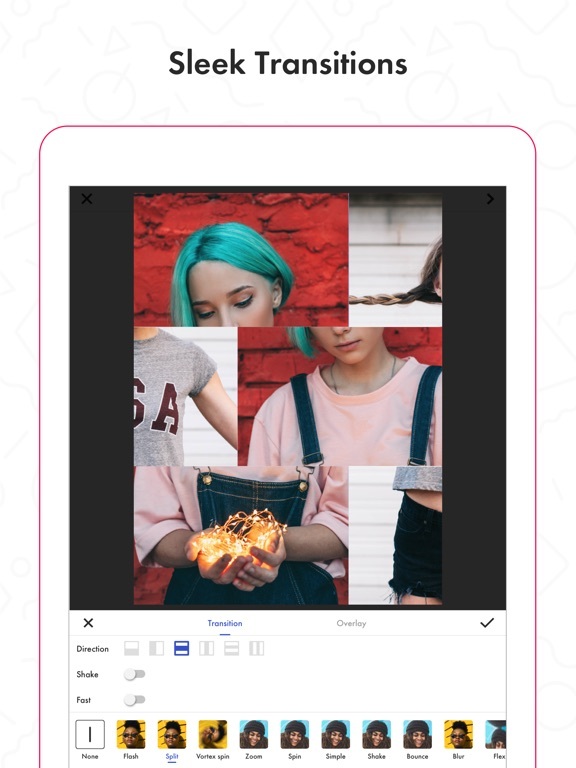 Funimate is literally the best app you can get, you can add really cool effects and save your videos privately if you don’t want anyone else to see them, you can disable comments if you don’t want feedback as well. They have a feature where you can block and report. And you can make friends as well. 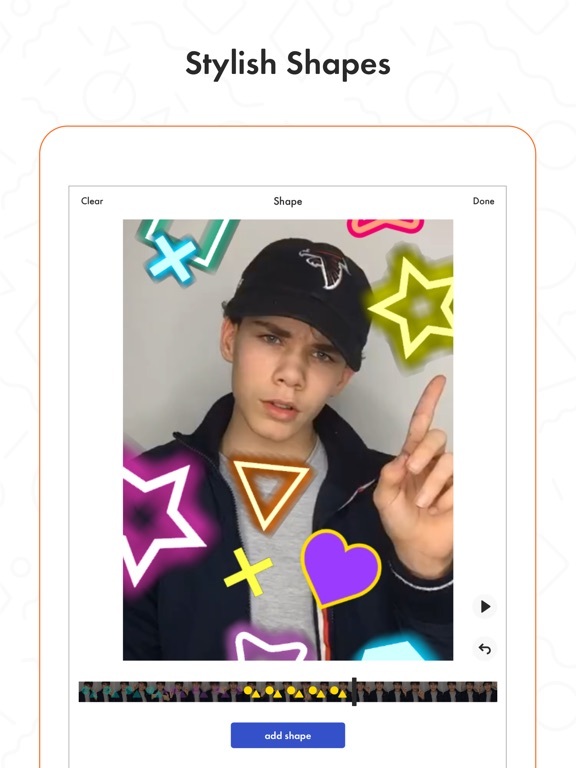 As a user of Funimate I am proud to have this app because I have made friends and collaborations in videos with others, I am so satisfied with this and every update that they add makes it better and better! 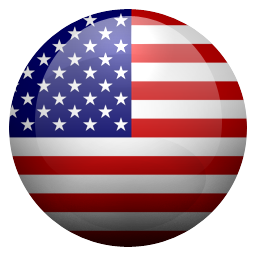 I am writing this review just to tell you how much I love this app! You should get it! When I first downloaded Funimate I enjoyed it so much because it was so easy to get a song I liked. But after having it a week, they took away the shoot button in the top right corner of the video. So if I like the video and wanted to shoot it myself, I can’t because there is no shoot button. So now I can’t shoot videos to songs I know because the song they have in the shoot a video or whatever it is called, are really bad and no one knows them. I listen to pop music and the music they have in the pop section isn’t pop. So please fix that creators. It was really bad to take it away. Also it happened to my friend so it’s not just me. Thanks for your time!! I love Funimate, a lot, but there are things I HATE about it and it’s why I have a 3 star rating. 1.) Funimate mainly pays attention to Funstars and people with 1k+, or popular people. Some new people spend A LOT of time making their videos and they get 1-5 likes, and you don’t even pay attention to them. 2.) Most of the effects are pro! Some of us don’t have parents, or money, that they can spend or have permission to get PRO! Some of the free effects are pro now, leave us with like 5 things free in each section. We want to enjoy Funimate just like any other person, so either add more free things, or make some of the pro things free! 3.) When you get a new phone, like I did, and you log back in to your account and try to change the bio, YOU CAN’T! It thinks you’re not the owner. 4.) ITs unfair. I have had A Funimate account for about 1-2 years, and only have been featured 2. 5.) when no one can comment on your video, you should still be able too! 6.) Post notifications don’t even work! 7.) WHY?! Androids can add as many #’s to their caption as they want, but iPhones? NO! Only 3!! Make it fair! Funimate is pretty cool, and I suggest this to anyone if you’re interested, but it’s kinda boring to scroll through people’s accounts and look at what they posted. It’s great for posting vids for your friends or family but there’s not much to do other than post. Also another problem is pro. If you don’t know what that is, it’s basically a pass to get cool effects for vids and stuff, but you have to pay like 7.99 a week for it, and I think that’s kinda ridiculous but ok. Also only people who own pro can go live, which is kinda unfair because the lives are like the only entertaining thing on Funimate, and less people who own pro means less lives. So ya. I like funimate because I never knew how to do edits on my videos but then my friend told me about funimate so I got it I tried it out and I really liked it so now that’s the app that I use for my edits are use it so much I love it good job on making it! Do you wanna thing I don’t like about it is that you have to buy like things for your edits I don’t really like that because not very many people have that kind of money and then they see the edit that they really like but they can’t use it because they have to be a pro but that’s all other than that funimate it’s so awesome! 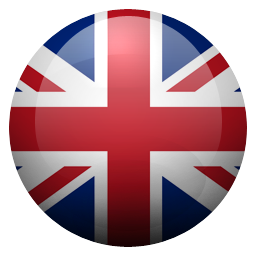 This app is the best app in the world!!!!! I really recommend it!! It is really good if you want to do slo-mo videos and add affects in them. 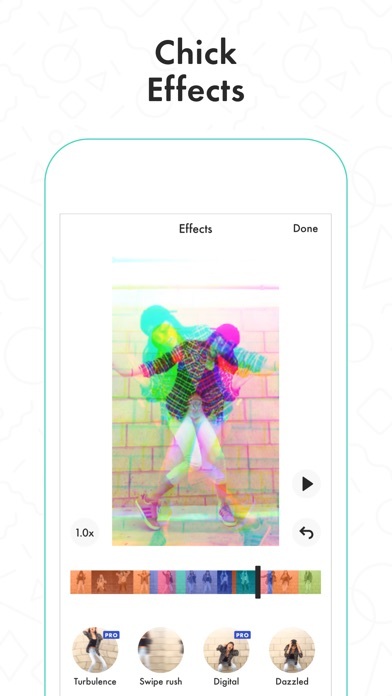 It’s also good if you want to do just regular videos and add affects in them. It is amazing if you want to do comedy videos and add affects to that!!! !lastly,I really recommend this app!!! This app is really good if you take music video form musically or form your camera roll and edit it and do like cool effects in them and stuff. 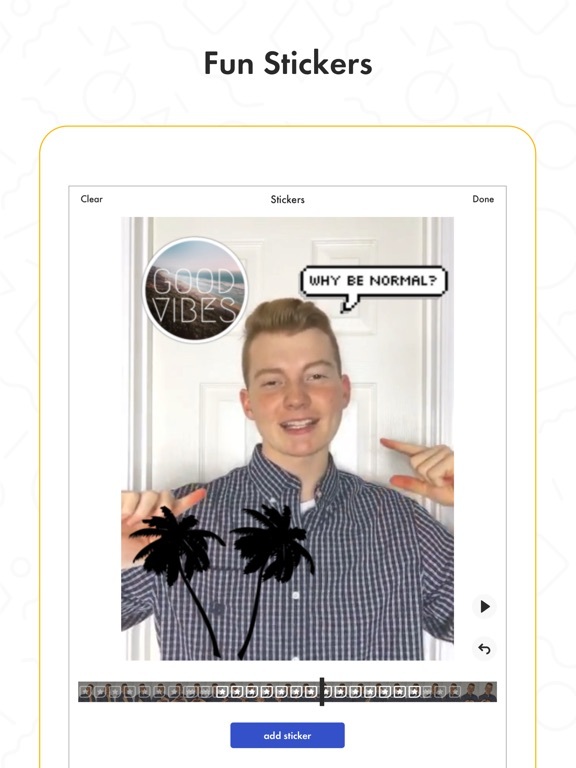 It also has this really good affect where you can add stickers in your picture, video, or whatever you are going to edit and add affects to! It's so good and my favorite part is that you can text people but the problem is that it keeps on gliching but everything is great, how do you get funlive? Do only funstars get it? If so that's not fair. 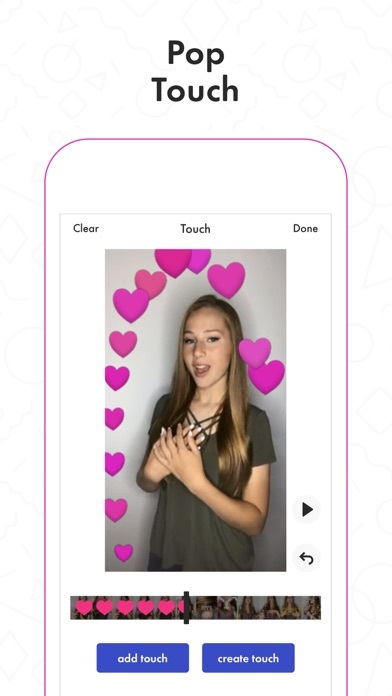 There should be a thing where people can FACETIME ON FUNIMATE! That would be so cool because you don't have to get there phone number and FaceTime them you could just FaceTime them on Funimate, this is just a suggestion you don't have to do it but if you did that would be so cool! The Pro thing is not cool cause everyone should be able to use every thing. Guys plz stop the hate on Funimate. I know everyone complains about the pro effects, I mean, I wish they weren't pro too because I love the butterfly effect so much. But really, what are they gonna do, make you pay 5 million dollars for the app instead????? ( I exaggerated a lot there ). 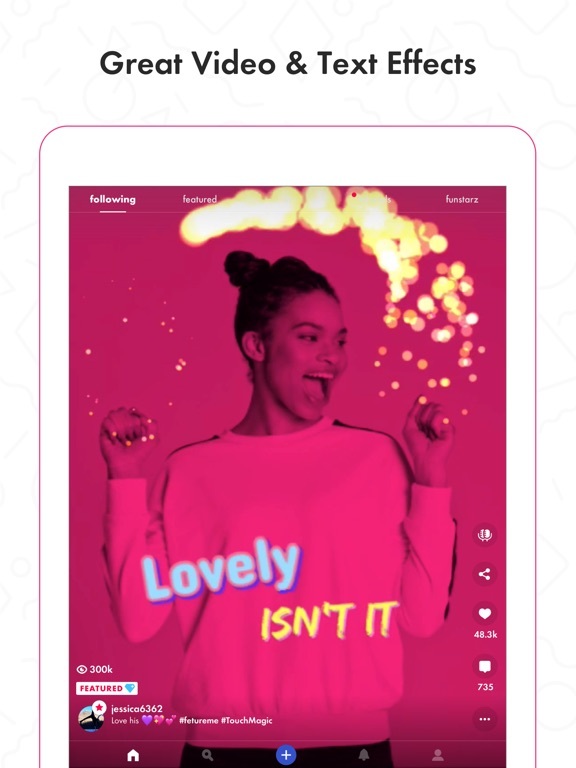 And another thing I agree on is the ads, I don't like the ads either, especially because if they make money from the pros, they don't need to money off the ads, but still, I love Funimate very much and think it is a great app. But if there is one thing I got to say, Funimate is fun m8! I can’t believe I’m saying this but, 2 things CAN indeed ruin a great app. This app had some much potential but it was dragged down by 2 things. Number 1 thing that ruins this, (what could have been, great app) is the ads! I HATE the ads, there’s way too many and they get really annoying really quickly. The second thing that ruins the app for me is the Pro Effects, OHHH MAN of I hate the pro effects, why would you put pro effects on this app but not say it? Oh I know, to trick people into downloading it and writing a review so that you can brag that you have a lot of reviews. You expect people to pay money UNEXPECTEDLY for what they thought was a FREE app, that is absolutely RIDICULOUS! 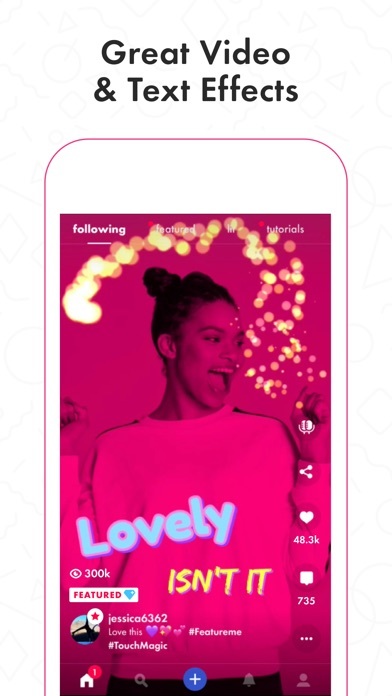 This is app had so much potential but it was ruined by ONLY two things. Horrible app. I hate the fact that you have to pay 2.99 a week for a PRO subscription on funimate! It should be 2.99 a MONTH. That is a reasonable price. The effects that should be free for everyone should at least include the Glitter and Colortail Touch Magic Effects. I have no money to purchase this subscription. Not to mention how unfair it is that I have been trying so hard for my 3rd Feature and some people make terrible videos and get Features left and right! Funimate is still an amazing app to express your feelings through creativity and music. I just wish either the Funimate PRO subscription was either a 5.99 ONE TIME PURCHASE or a 2.99 per MONTH subscription. 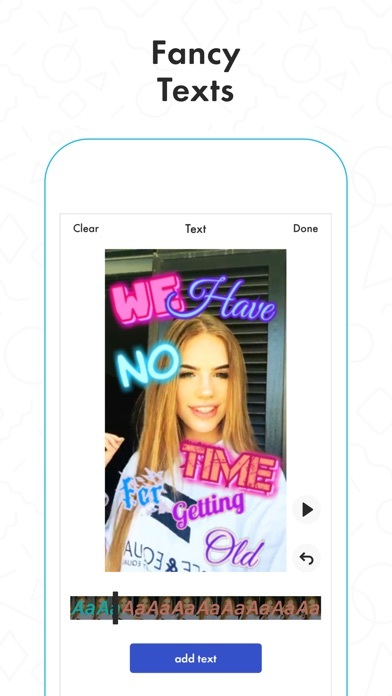 Is love the app but I want the watermark not to be there, I mean I understand it but I mean... you made the app to make the music videos things better, and I post these on musically too, and the watermark is annoying, also I use this app to make video edits for Instagram and I don’t want the watermark, I’m going to try and see if I can get the 7 day free trial but then I’m done and won’t be able to use it. Also, when I first downloaded the app (tonight) I had some of the effects that are now pro and I’m confused about that soo, idk.